Medical research is proving what many medical marijuana patients already know very well;, that marijuana and its active ingredients, THC and CBD helps to treat urinary and bladder issues. 1 Cannabis-derived drug suppresses bladder chronic pain in animal-mammal models. University of Pittsburgh Medical Center 2006. 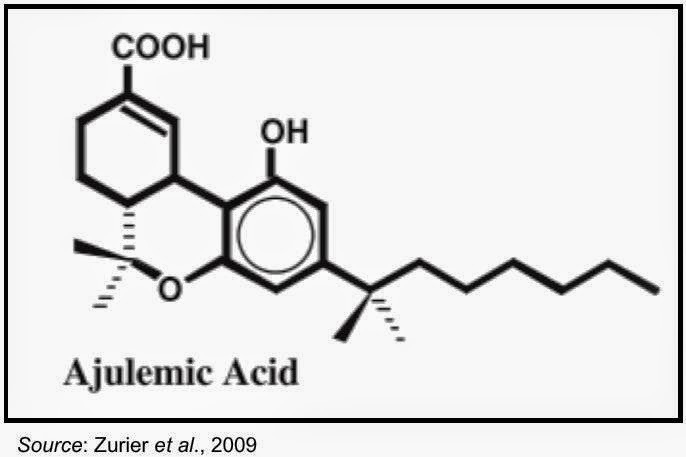 1 A potent synthetic chemical analog of a metabolite of d9-THC...the main active ingredient of cannabis effectively suppressed chronic pain in hyper-sensitive bladder conditions including interstitial cystitis -IC... this is according to animal-mammal-rodent model trial results presented today to the American Urological Association. 1 IP:751 (synthetic cannabinoid) is a potent anti-inflammatory and a powerful analgesic synthetic chemical cannabinoid and its mechanisms of action are not completely documented. Even so, since the drug is not soluble in water, its application directly into the bladder is quite hard. 1 Scientists at the University of Pittsburgh School of Medicine addressed the hydrophobic properties of IP:751 (synthetic cannabinoid) by introducing the drug into a liposome, a tiny sac surrounded by fatty acids, permitting for the drug to be introduced directly into the bladders of rat models of varying degrees of bladder inflammation. IP:751 (synthetic cannabinoid) significantly suppressed bladder hyperactivity in both animal-mammal-rodent models. Bladder hyperactivity is the underlying origin of irritation and chronic pain in the bladder. 2 A preliminary controlled trial to determine whether whole-plant marijuana extracts can improve intractable neurogenic symptoms. Wade et-al 2003. Clinical Rehabilitation 17: 21 to 29. 2 Pain relief associated with both d9-THC and Cannabinol-CBD was significantly superior to placebo. Impaired bladder control, muscle spasms and spasticity were improved by CME in some patients with these symptoms. Three patients had transient hypotension and intoxication with rapid initial dosing of d9-THC-containing CME. marijuana medicinal extracts can improve neurogenic symptoms unresponsive to standard therapies. Unwanted results are predictable and generally well tolerated. Large scale studies are necessary and warranted to confirm this trial's findings. 3 An open label pilot trial of marijuana-based extracts for bladder dysfunction in advanced multiple sclerosis. Multiple Sclerosis 10: 425 to 433.Brady et-al 2004.
patients with advanced multiple sclerosis - MS and refractory lower urinary tract symptoms - LUTS. 3 Patients took extracts containing d9THC and cannabidiol (CBD; 2.5mg) for eight weeks, followed by d9-THC-only (2.5mg THC) for a further eight weeks, and then into a long-term extension. Assessments comprised urinary frequency and amount charts, incontinence pad mass; cystometry and visual analogue scales for secondary troublesome symptoms. 3 Twenty-one patients were recruited and data from fifteen were appraised. Urinary urgency, the amount and number of incontinence episodes, frequency and nocturia all decreased significantly following therapy . Even so, daily total voided, catheterized and urinary incontinence pad mass also decreased significantly on both extracts. Patient self-assessment of chronic pain, spasticity and quality of sleep improved significantly. 3 Wilcoxon’s signed rank test) with chronic pain improvement continuing up to median of thirty five weeks. There were fewer troublesome side results, suggesting that marijuana-based medicinal extracts are a safe and efficient therapy for urinary and other problems in patients with advanced multiple sclerosis - MS.
4 The efficacy of marijuana on urge incontinence in patients with multiple sclerosis: a multicentre, randomized placebo-controlled trial. Freeman et-al 2006 The International Urogynecology Journal 17: 636-641. 4 All three groups showed a significant reduction, in adjusted episode rate from baseline to the end of therapy: marijuana extract, 38%; d9-THC, 33%; and placebo, 18%. Both active therapies showed significant results over placebo (marijuana extract, The findings are suggestive of a clinical efficacy of marijuana on incontinence episodes in patients with multiple sclerosis - MS. This is in contrast to the negative finding of the CAMS trial, where no difference was seen in the primary outcome of spasticity. 4 Therapy insight: bladder dysfunction associated with multiple sclerosis. Kalsi & Fowler. 2005. Nature Clinical Practice Neurology 2: 492 to 501. 4 Bladder dysfunction is a common problem for patients with multiple sclerosis - MS. The severity of symptoms often correlates with the degree of spinal cord involvement and, hence, the patient's general level of disability. The emphasis of management is now mainly medical and is increasingly offered by non urologists. Therapies can be highly efficient, relieving patients of what are otherwise very troublesome symptoms that would compound their neurological disability. 4 This research report gives an overview of the neural control of the bladder, followed by an explanation of the pathophysiology of detrusor hyper-activity secondary to neurological disease. A review of methods available for treating bladder dysfunction in multiple sclerosis - MS then follows. The therapy options for this disorder are largely medical and include established first-line measures such as anticholinergics, clean intermittent self-catheterization and the use of Desmopressin (pharmaceutical for diabetes), as well as potential second-line agents, such as phyto-cannabinoids, intravesical vanilloids and intradetrusor botulinum neurotoxin type A. The diminishing role of surgical intervention is also discussed. MMJDOCTORONLINE NOTES: We provide medical cannabis recommendations, marijuana-ID and cultivation permits in the State of California. Our online process complies with the guidelines for telemedicine set forth by the Medical Board of California. Patient's are not required to pay until they are approved. Everything is done online and the process takes only five to ten minutes to complete. Our documents are used to purchase marijuana based medicines and cannabis at dispensaries, marijuana clubs, cooperatives, delivery services and other licensed providers. In 2017, when recreational cannabis may be purchased by any adult, medical cannabis card holders will be tax exempt, and pay about $80 less per ounce of cannabis. 5 Natural Product Com. these scientists describe the process of dosing cannabis compounds in rodents and analyzing the effect on bladder contractility, finding that CBG presented the highest levels of efficacy in reducing contractions, which alleviates the symptoms of O.A.B. "CBG also reduced acetylcholine-induced contractions in the human bladder,"
5 Promising news. The American Urological Association reported that seven to twenty seven percent of men and nine to forty three percent of women experience OAB—though thirty eight percent of cases remit within a year—and most sufferers deal with the disorder on an ongoing basis. Between costly surgical intervention and prescription drugs, OAB treatment expenses exceed twelve billion $ per year in the US. 5 Not without recent precedent, the new preclinical trial info comes directly after research published by the American College of Gynecologists and Obstetricians in 2013, which looked at the relationship of select phyto-cannabinoids vs urinary bladder conditions. In that study, researchers discovered that administering cannabis extracts of d9THC, the main stoning-psychoactive compound of cannabis,which improved urinary incontinence by as much as twenty five percent. That means significant relief for people with OAB. 5 Moreover, marijuana could reduce the risk of developing bladder cancer in males. An unrelated study from earlier this year found that, of the 84,170 men surveyed by health professionals at Northwest Kaiser Permanente, 279 developed bladder cancer over an 11-year period, and the disease affected only eighty nine marijuana smokers (0.3 per cent) compared with one hundred and ninety men (0.4per cent) who did not report marijuana use. 6 The administering of THC and CBD were found to significantly decrease urinary urgency and the number and volume of incontinence episodes in multiple sclerosis patients with bladder dysfunction. In addition, pain and quality of sleep significantly increased. Another study also found that cannabis significantly reduced urge incontinence episodes in multiple sclerosis patients. 6 Cannabis has also proven effective for managing the pain associated with interstitial cystitis. A case study found that a thirty one-year-old woman diagnosed with chronic cystitis and whose pain had proven intractable to other treatments for about twenty years experienced a significant reduction in pain when taking oral THC. Throughout treatment, the patient had to reduce dosage because of psychotic side effects, confusion and bad dreams. However, once the dosage was reduced, the patient continued to experience a reduction in pain, but with diminished side effects, and remained stable for six months until completion of the case study . An animal-mammal study also showed that THC was effective at suppressing pain in hypersensitive bladder disorders like interstitial cystitis. 7 Overactive Bladder: Can Marijuana Treat It? 7 AJA or Ajulemic acid is a synthetic substance ``somewhat-equivalent`` to d9THC; it is a strong pain reliever and anti-inflammatory, however, AJA (ajulemic acid) does not have the stoning effects that d9THC has. In lab studies it mimics many of the same properties as the popular anti-inflammatories known as NSAIDs, such as naproxen. In trials on chronic neuropathic pain and the volunteers, AJA (ajulemic acid) did not seem to cause dependency after withdrawal at the end of the one-week study. 7 So, how could AJA (ajulemic acid) treat overactive bladder? A recent trial on rats showed that AJA (ajulemic acid) suppressed normal bladder activity and lowered urinary frequency caused by bladder irritants. The scientists involved believe that AJA (ajulemic acid) blocked the outgoing pain signals from the bladder in one of the receptors and that THC could bind to these receptors in the bladder cells. In the experiment, different bladder irritants were administered to rodents. Bladder pressure and contractions were recorded. After injection of AJA (ajulemic acid), the muscle contraction (bladder) intervals and pressures were lowered, which reversed the negative effects of these artificial irritants. Functional groups COOH and 2 methyl account for its lack of psychoactive activity (CB1 receptor), while the molecule can modulate the CB2 (inflammation-pain) receptor mechanism. 8 CBG reduced contractions. Lowering bladder contractility improves issues of those suffering from urinary incontinence. Previously, research on cannabis used to treat overactive bladder symptoms, where a clinical trial on patients with multiple sclerosis - MS and Neurogenic Detrusor Overactivity - NDO showed that the administration of high concentration -d9THC cannabis extracts improve urinary incontinence by twenty five %. 8 This twenty five % improvement is enough to make life noticeably better, however, these improvements came along with the stoning-psychoactive effect of the high-d9THC extract, which are not well tolerated by all patients. While many cannabis users enjoy the feeling of being stoned all the time, many people who never touched marijuana don't necessarily like or enjoy being stoned. For this reason, researchers are investigating other non-stoning-psychoactive phyto-cannabinoids (like (CBD) that are just as safe and non-toxic as good tried and true d9THC. 8 CBG, is a precursor of d9THC, produced in the cannabis plant, Cannabidiol-CBD and CBC, have seen increasing amount of interest in the medical research community because they don't get patients high.Scientists in this latest trial also tested d9 THC a stoning-psychoactive form of THC which acts in many ways - in opposition to THC ... .it is energising and suppresses appetite, can supply calm, focused energy, Cannabidiol-CBD and cannabidivarin or CBDV. These phyto-cannabinoids are non-stoning-psychoactive and can improve bladder contractility. With that said, CBG seems to be the most powerful, with d9 THCV coming second.